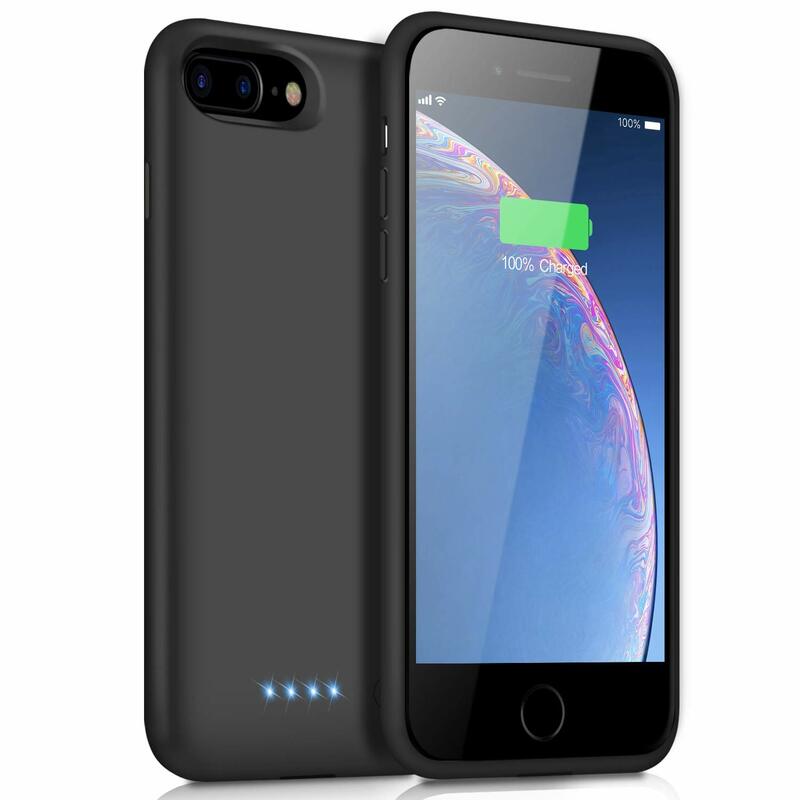 【EXTENDED 90% BATTERY LIFE】Google Pixel 3 xl case battery built-in 4700 mAh rechargeable Li-polymer battery pack, Effectively provide 90% extra battery life. 5V/1.8A output makes fully charged in about 1.5 hours, Great for your hiking, party and taking photos. 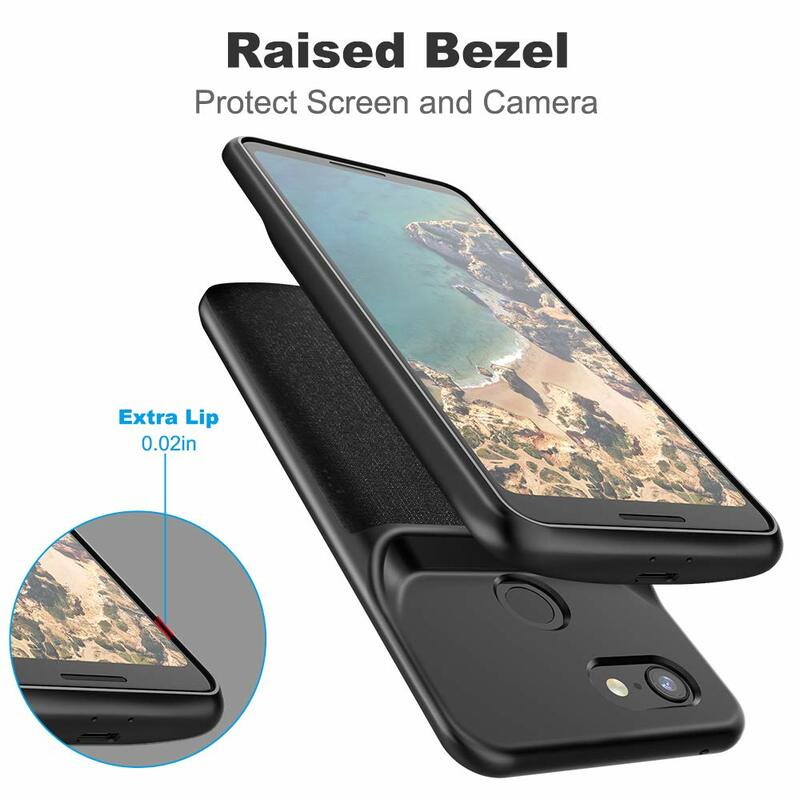 【360 FULL PROTECTION】Newdery portable charging case for Pixel 3 xl is made by TPU and PC, adding only 0.16-inch thickness to your phone, providing superior full protection to the edge, EXTRA LIPS helps prevent your screen and camera from getting scratched. 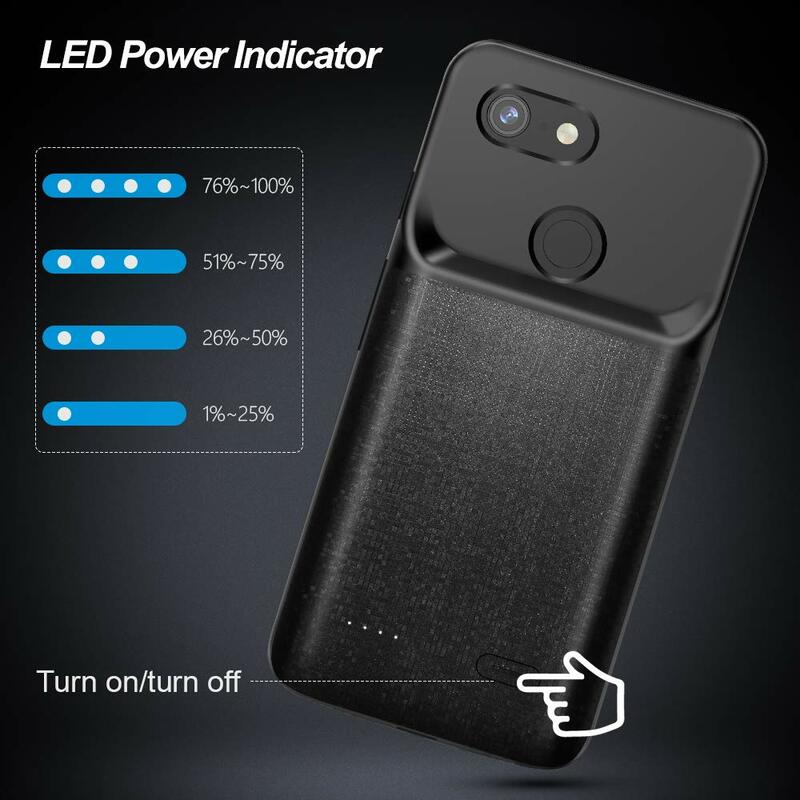 【CONVENIENT LED INDICATOR】4 LED power lights allows you to keep track of remaining power in your battery case. With ergonomic handheld design, the backup cover offers you a better grip experience. 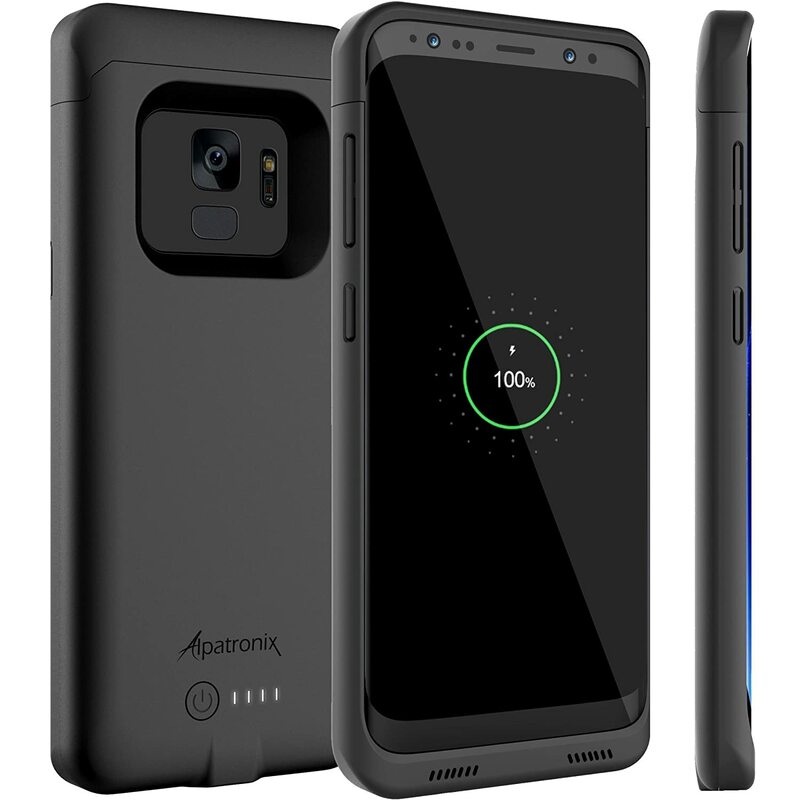 You can charge the phone and the battery pack simultaneously. 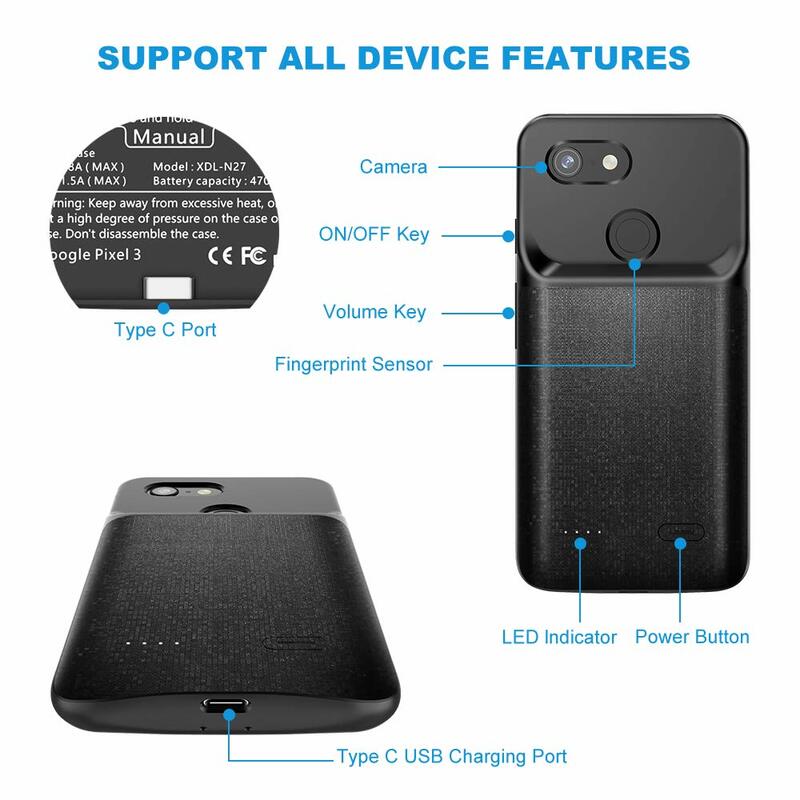 【EASY TO INSTALL】Slide your phone from top piece into the battery case to well connect the Type C USB port, and press cellphone into the case, easy to start/stop charging your phone by pressing the power button for 3 seconds. 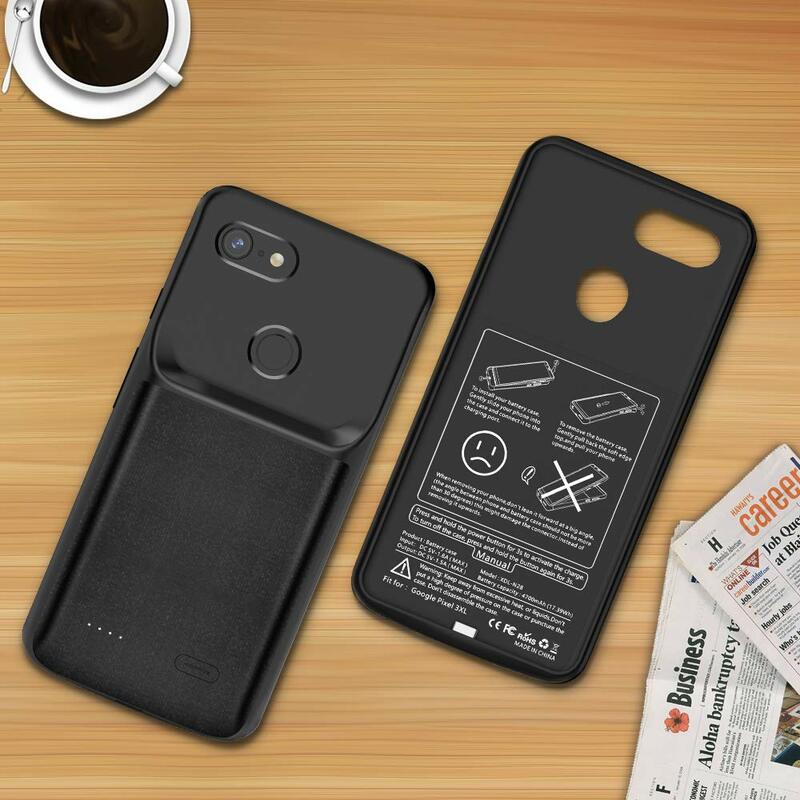 【100% SATISFACTION WARRANTY】12-month warranty ensures you are protected for the life of Pixel 3 xl extended battery case or service. You will be offered any help from our NEWDERY Customer Support Team. The case rapidly charges which was unexpected. 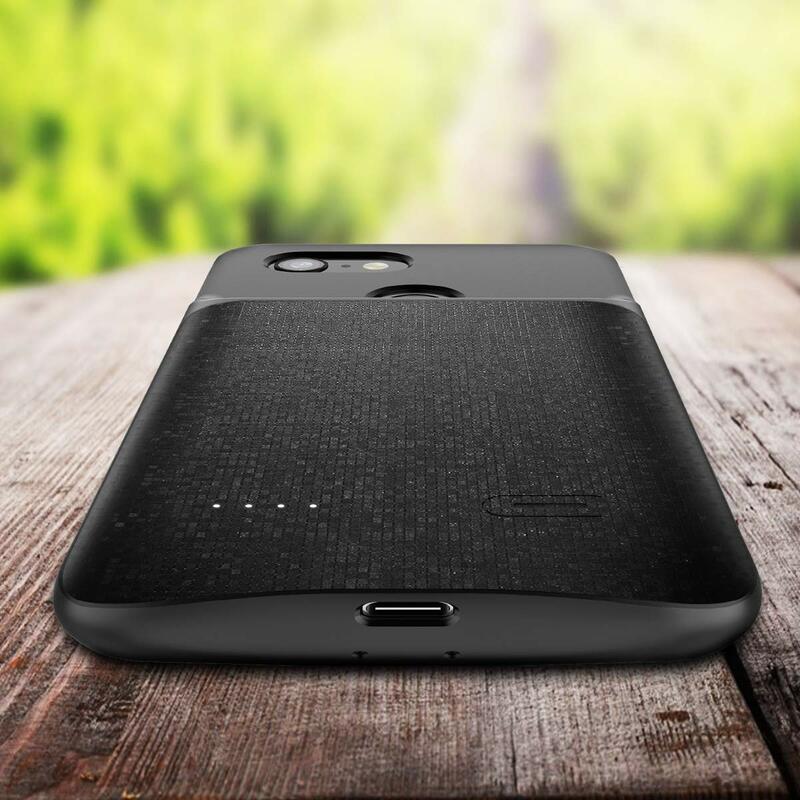 The case is pretty thick and gives the phone a lot of extra weight but is manageable. Not a huge fan of the neo matrix design on the back but blends in enough so just something to keep in mind. aslo, it hasn't affected performance but the case gets noticeable warm, not hot, but warm around the bottom. Overall thought he case works and works better than expected. Not a case to use at all times but if you're traveling or know you're having a long day, the case is solid. 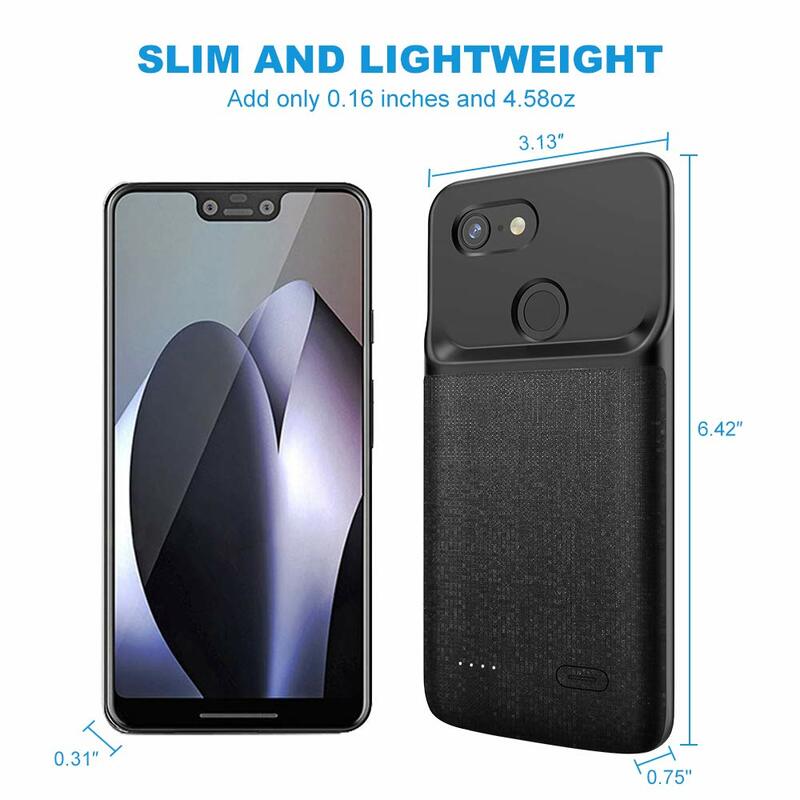 It was thinner and lighter than I'd thought it'd be (although it is still bulky and heavy, it's not nearly as bad as other battery cases on the market). The material is fairly grippy and IS squeeze-compatible! Loved the pattern on the rear as well. It "charges rapidly," which is mostly accurate. 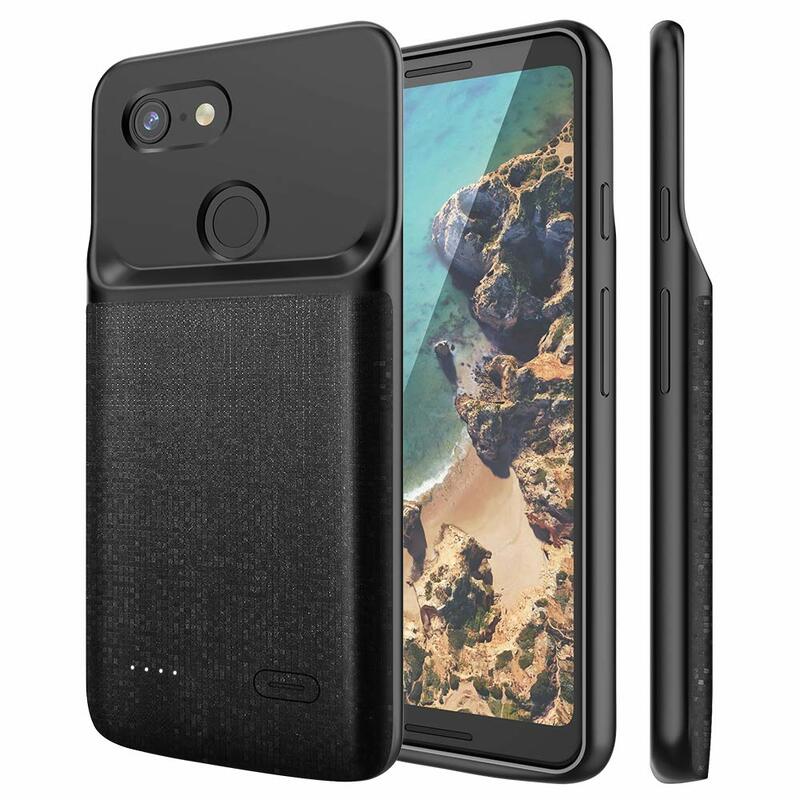 Overall, it alleviated the #1 problem I had with the new Pixel 3 XL (battery life) without much of a compromise in the size and portability of the phone. 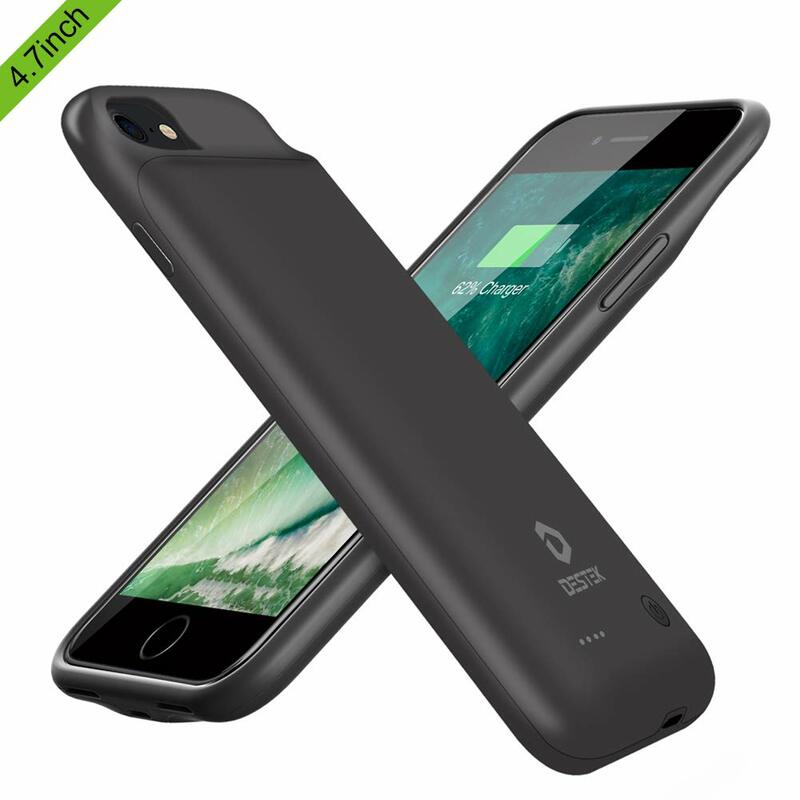 This case works really well for charging the device. It feels nice, isn't bulky, and packs a big battery. You should know that you can't listen to music through them, though, so be aware of that. You can't wirelessly charge your phone through it either. 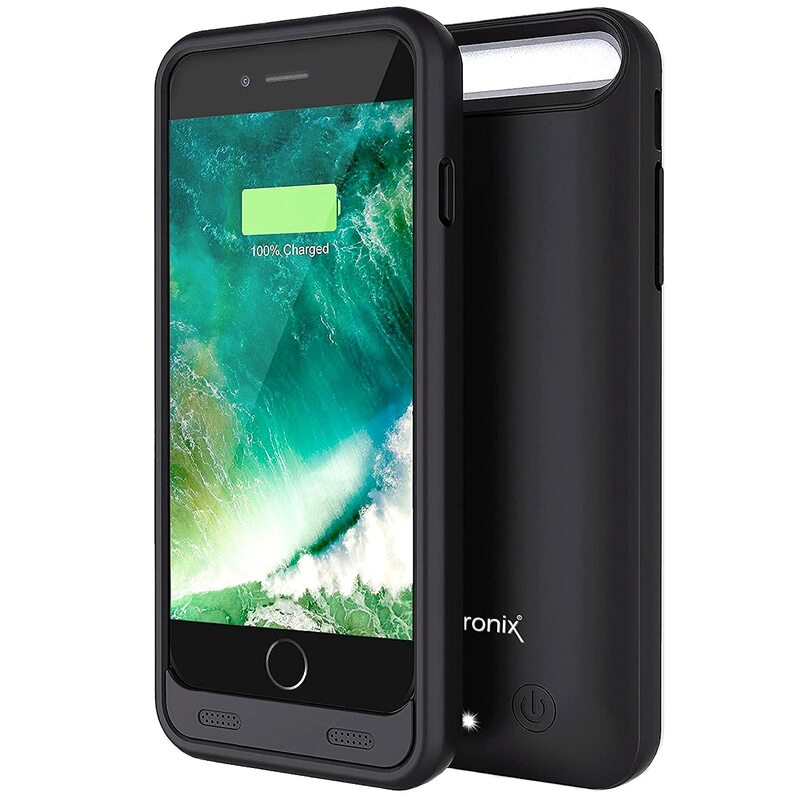 Overall, this is a great case that I'd recommend for anyone who can't get their phone to last them through the day! Very slim and easy to use! Helps the already great battery last even longer! Just got the case and it doesn't seem to work with the included headphones? But, the headphones work without the case..
Google Pixel USB-C Wired Earbuds doesn't work with this battery Case, I have to remove the battery Case to use my wired earbuds..!